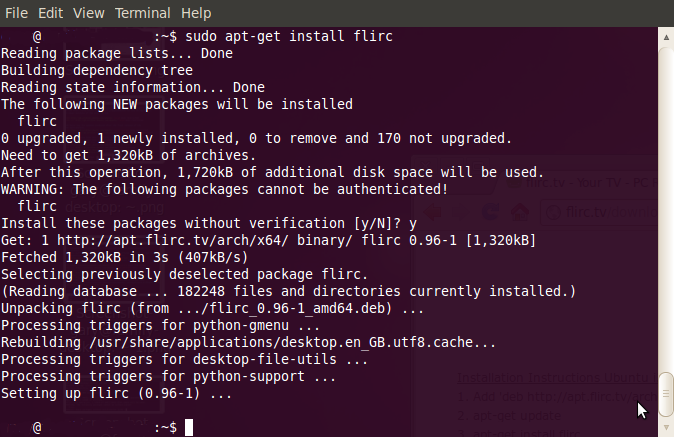 This article outlines how to install Flirc GUI, this software is only required to program the Flirc device. Once it is programmed, the software isn't required. 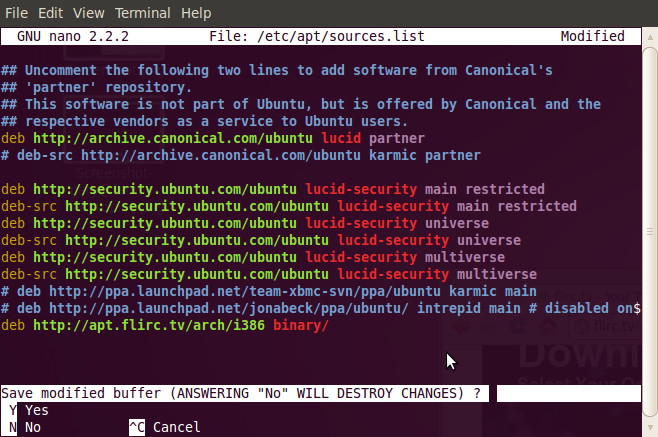 Open the terminal app and type: “sudo nano /etc/apt/sources.list” (this opens the file in Nano with root privileges). Scroll down to the bottom of the list using the arrow down key on your keyboard, then add a new line (in this example as the computer is x64, “deb http://apt.flirc.tv/arch/x64 binary/” is added). Press “y” then return to save the changes. 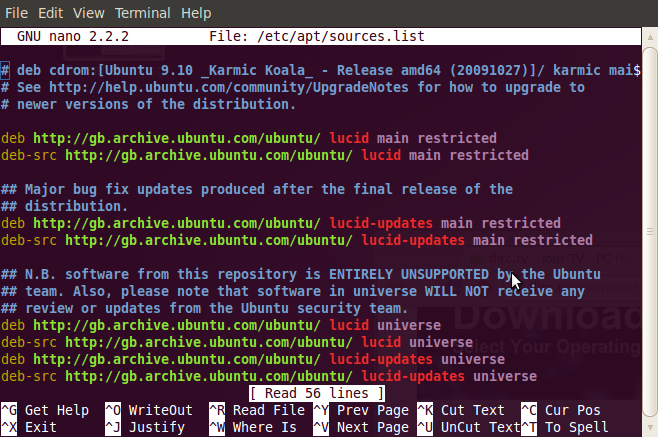 This should return you to the usual terminal command line. This refreshes package manager to make sure it has the new flirc repository in it. Press “y” to install the packages. Does this work for the Raspberry Pi ? I followed the instructions above, rand the gui, and failed to connect to the dongle. Why is there no app for my operating system?